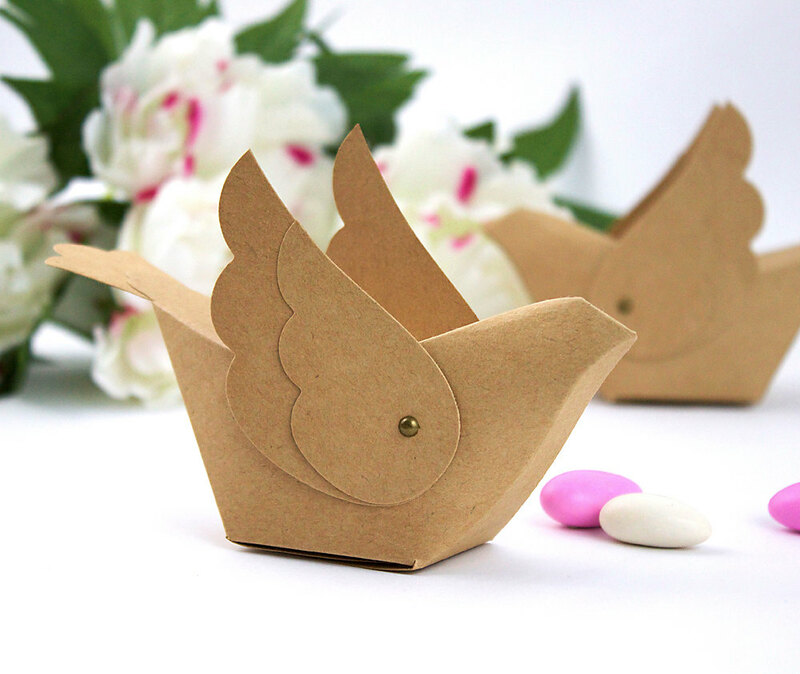 Get ready to think spring with these bird wedding favors! 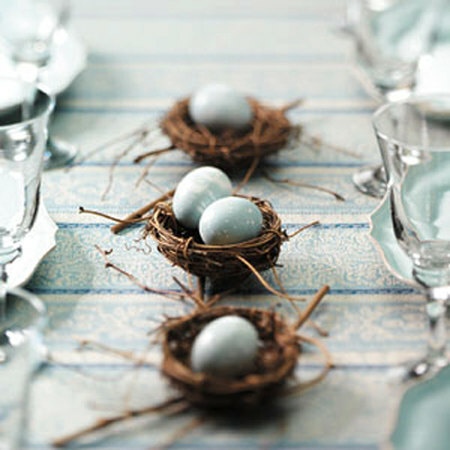 Although it is wintry outside, spring wedding and spring bridal shower season will be here before you know it. And we want you to be ready! 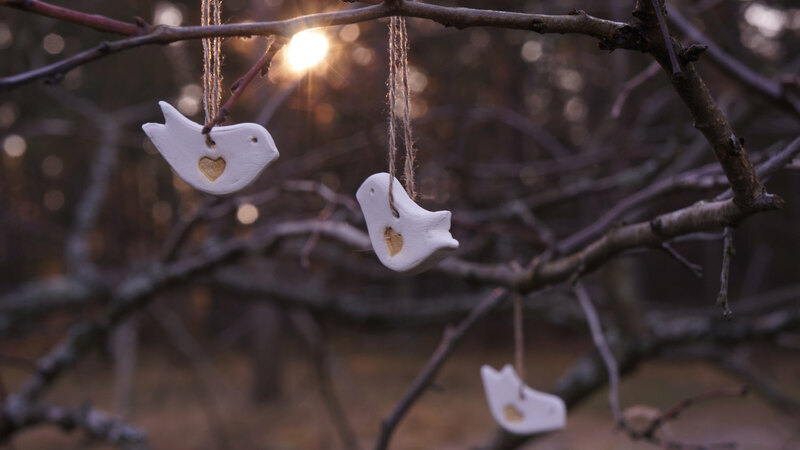 If you are planning a bird themed wedding (or shower) (it can actually be quite stylish — see this), you won’t want to miss these bird favors to go along with it. 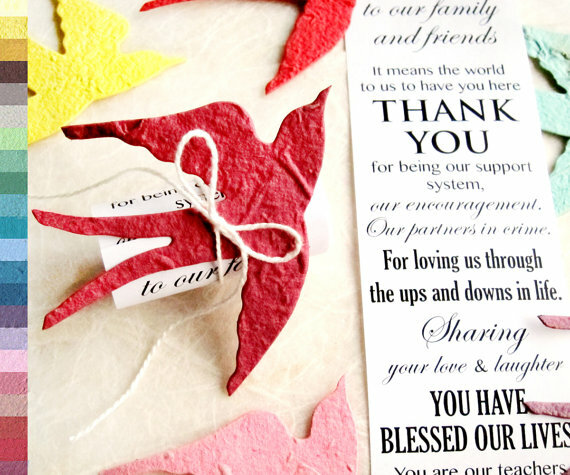 These favors are 1) handmade, 2) beautifully designed, and 3) well-received by guests. On to the list! 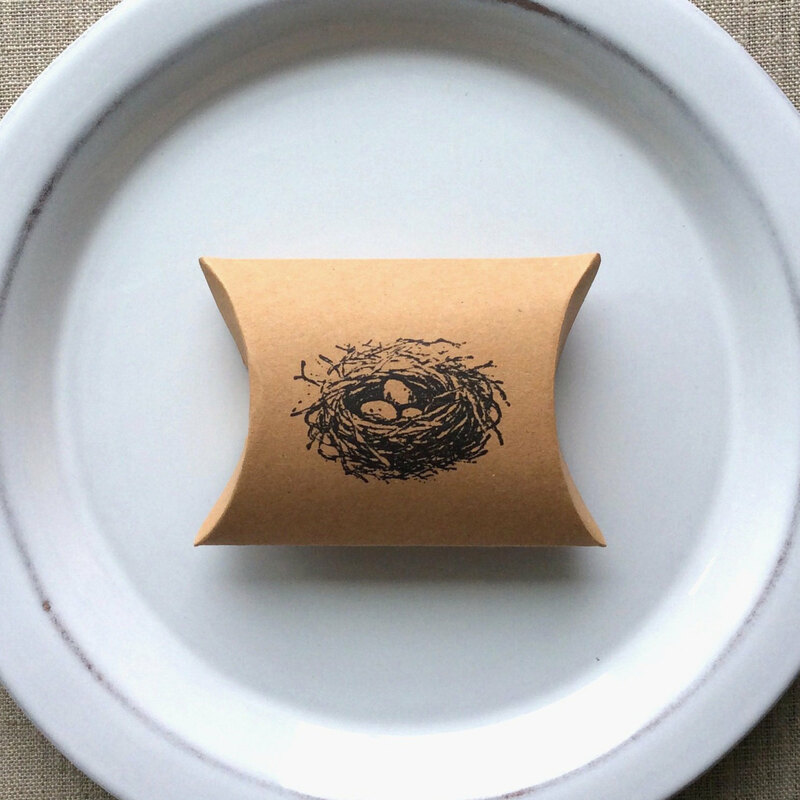 One of my favorite bird nest favors comes to us from Beth and Olivia, where you can find vintage inspired paper goods, favors, and diy kits — like this one! 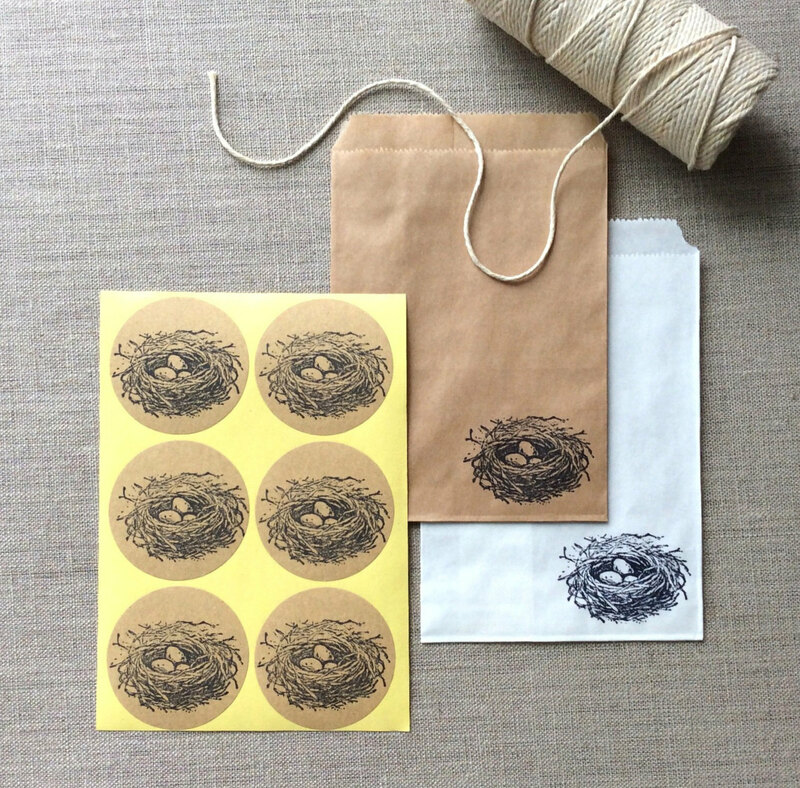 The bird nest favors from Annie’s shop are ideal for any theme, but we especially love them for vintage-inspired weddings and bridal showers. 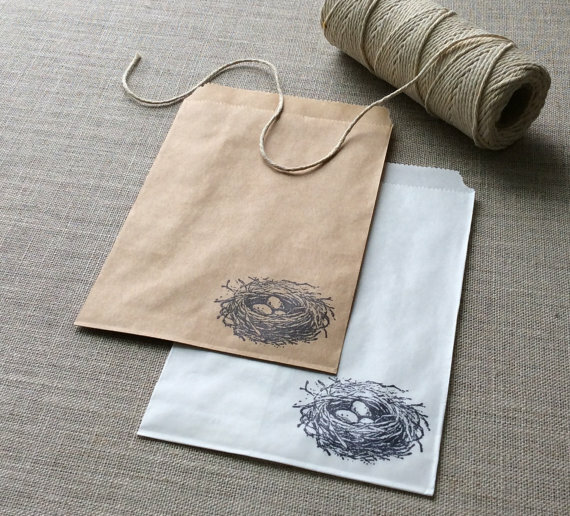 Fill these bags with your favorite treats, add a sticker, tag, and twine. It’s so easy! 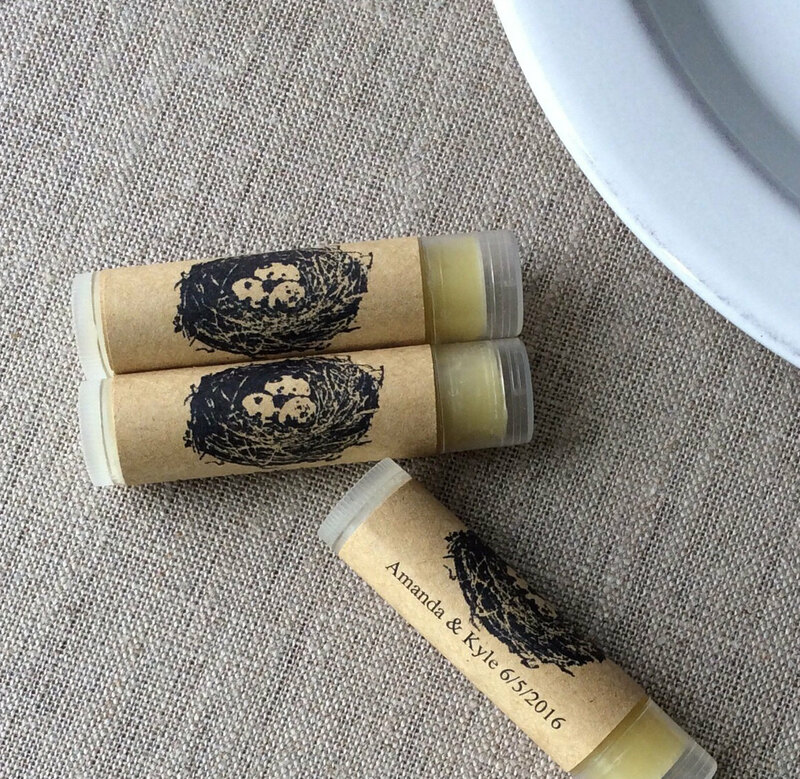 The lip balm is handmade by Annie’s other shop — Beth and Olivia’s Market. 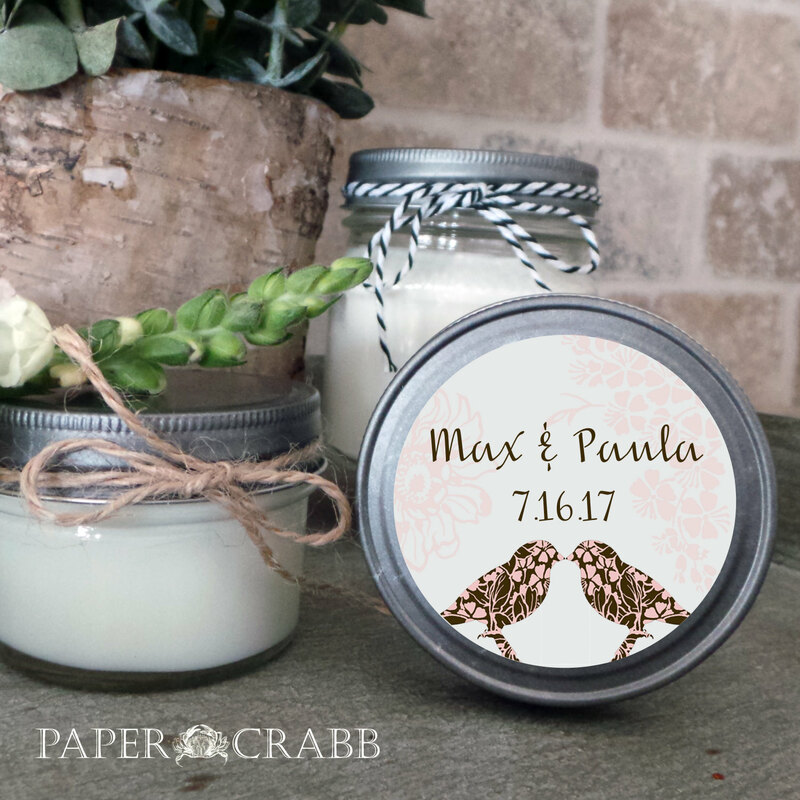 Each lip balm features your names and wedding date printed on the label. 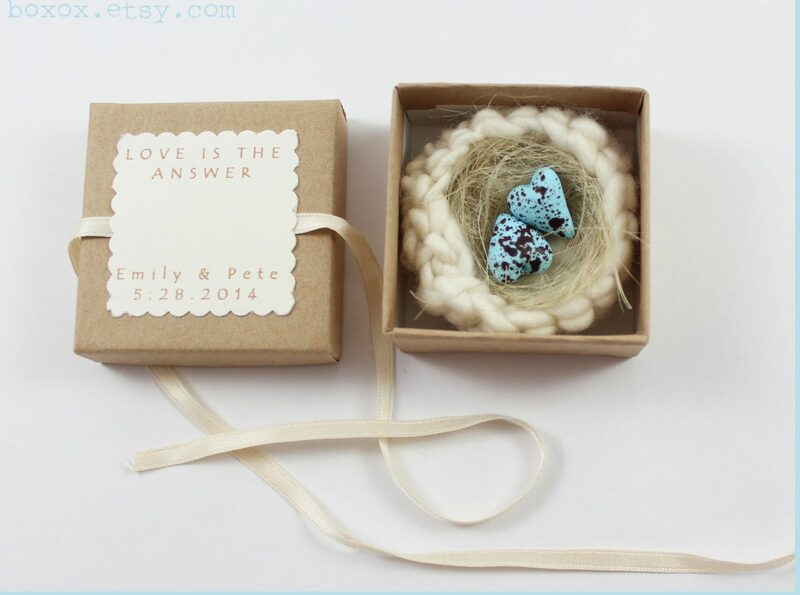 These are handmade with yarn and boxed, ready to give. By Boxox. 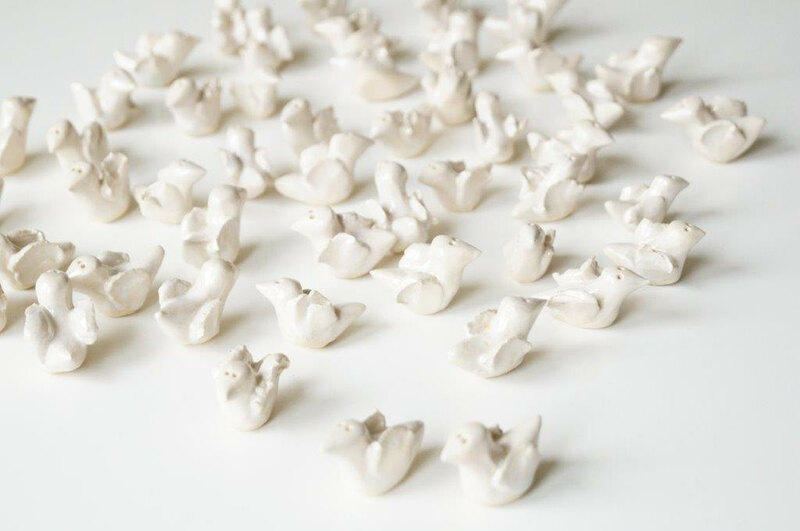 These bird nests look like the real deal! 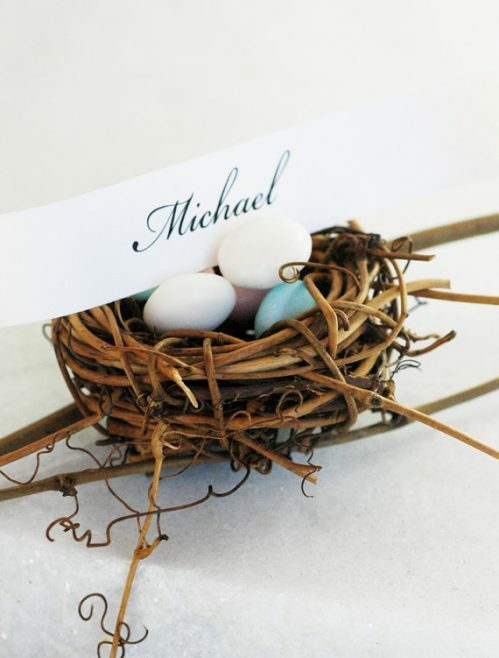 They’re made with vines and look so cute with blue Jordan almonds inside like little eggs! By White Tulip Boutique. Easy to assemble and perfect for small candies! By Beth and Olivia. Let flowers bloom wherever these favors are planted! 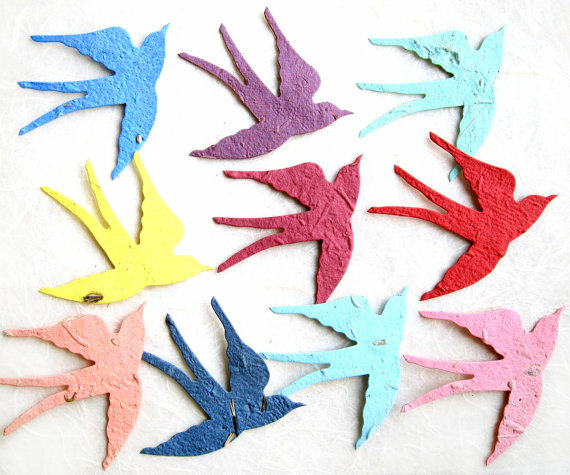 These eco-friendly seed favors are shaped into birds and ready to be given to guests with a heartfelt scroll-style note. By Recycled Ideas. 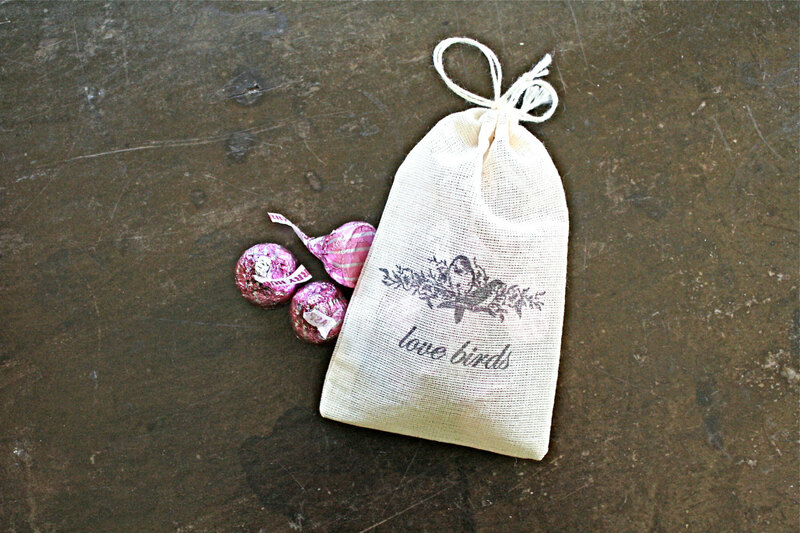 Stamped with “love birds” on the front! By Clementine Weddings. 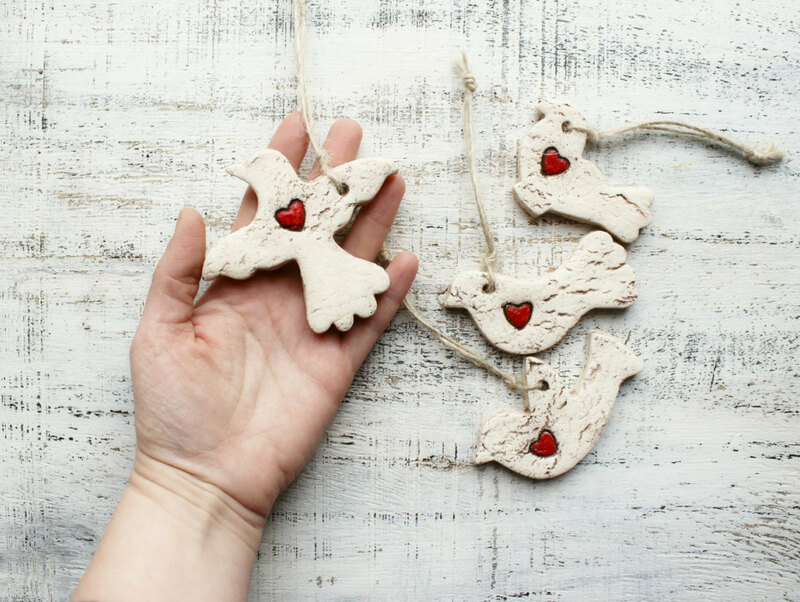 These beautiful birds are handmade by hand in Poland. 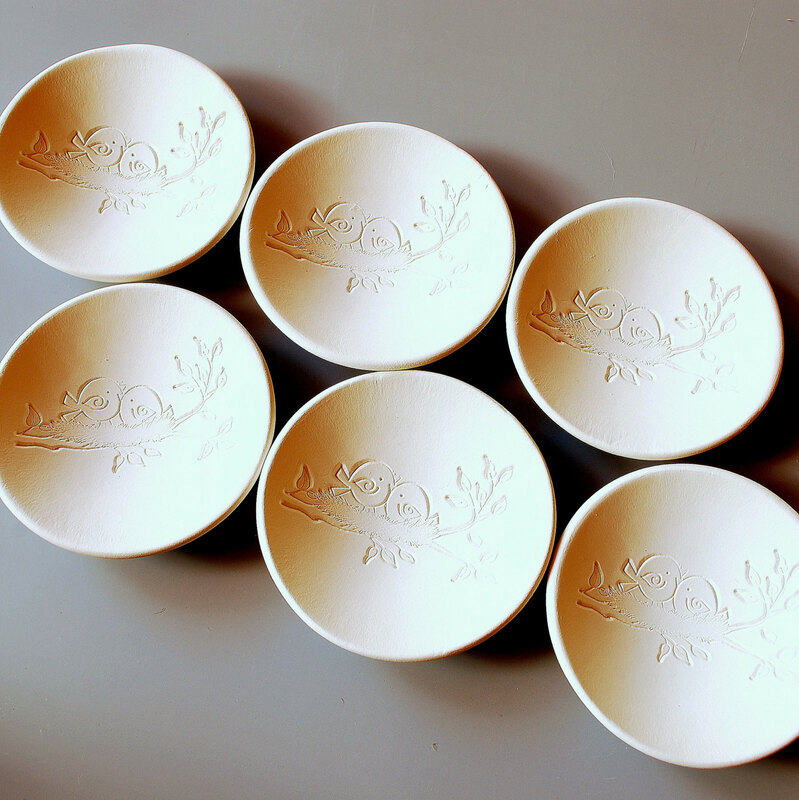 They make a lovely accent for your wedding tables — and double as take-home favors! By Her Moments. 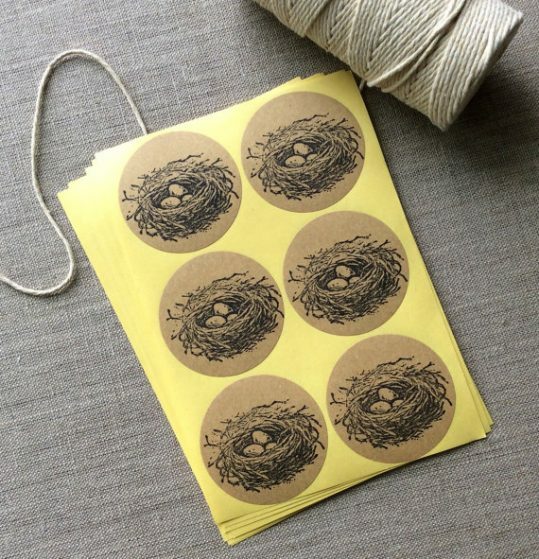 Cute for take-home favors! By Handy Happy Shop. So cute! By Down The Road With Me. 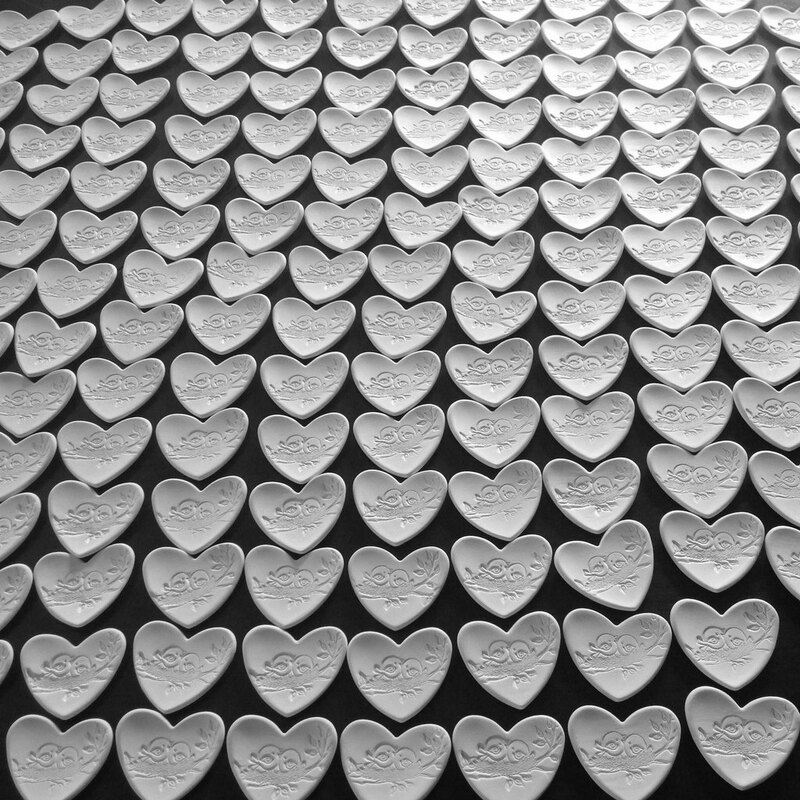 Look at these heart-shaped dish favors, too!